We take considerable pride in our garden which extends to the side of the Llangollen Canal with a short walk to the Pontcysyllte Aqueduct World Heritage Site. Visitors have the opportunity to sit and enjoy the tranquillity of our Welsh Countryside. The Offas Dyke footpath also runs immediately passed the cottage and we are within easy walking distance of some of the best remaining examples of the Dyke. We are situated on a small loop road some 200 yards from the A5 road outside the village of Froncysyllte, five miles from the town of Llangollen which is renowned for its International Musical Eisteddfod, and two miles from the town of Chirk with is famous castle. 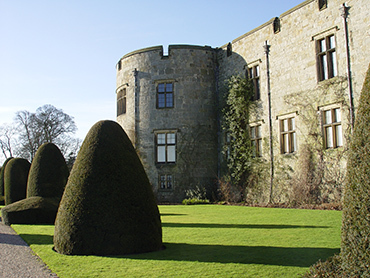 Chirk Castle has been continuously occupied to this day by the Myddelton family for some 800 years, and one of the most popular National Trust Sites providing an insight into life in this area for many hundreds of years. 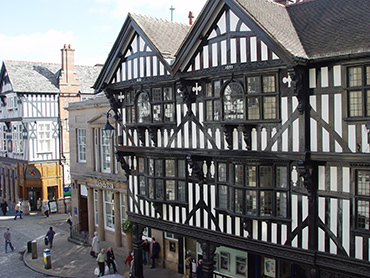 The city of Chester accessible by car, train and bus, is also within easy reach - some twenty minutes by car with its fine examples of architecture and structures dating back to the Roman occupancy of Great Britain.